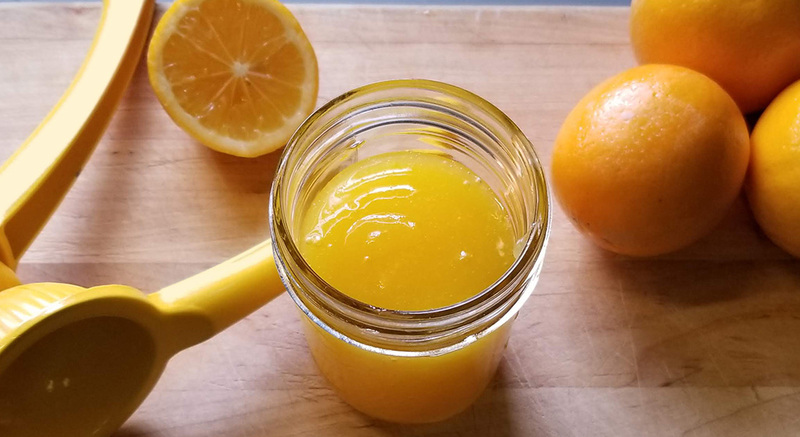 Meyer lemons are a seasonal item for most of us, and you will see them in the winter on some grocery store shelves for a limited time. Meyer lemons are different from regular lemons in a couple of ways. First, they are little smaller and more orange in color. But, more importantly, they have a different flavor. They taste lemony, but lack the acidity level of a lemon and are sweeter. This is one of the reasons I like Meyer lemons so much. And, since they are only available for a limited time, it’s important to take advantage of them while you can! One of my favorite things to eat is a Meyer Lemon cheesecake. This is a cheesecake with a Meyer Lemon curd – its rich and delicious. As you can imagine, it’s not the healthiest thing in the world to eat so I don’t make it too often. 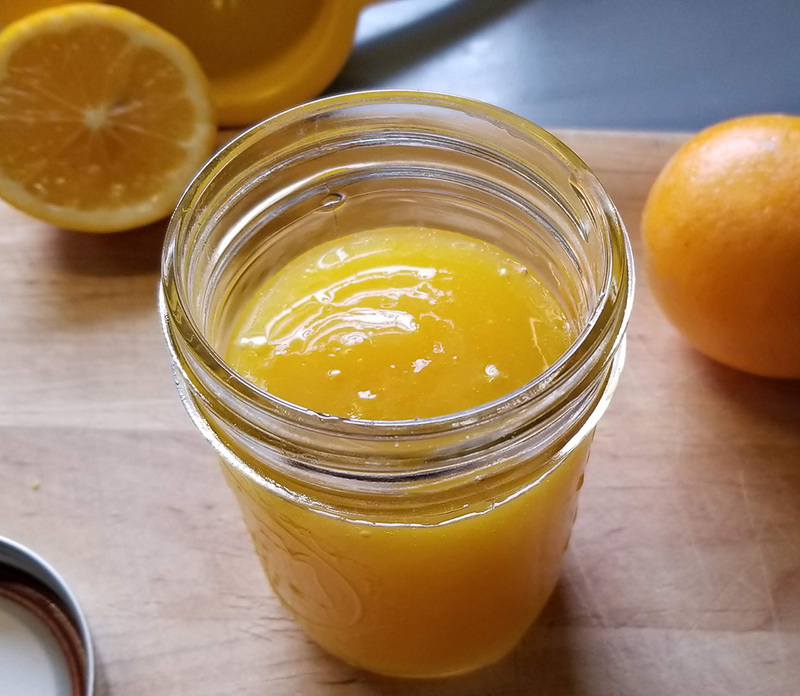 However, I can take the following Meyer Lemon Curd and add it to my homemade Greek yogurt, and get a little bit of that decadent richness that reminds me of the cheesecake – but it’s much easier to make, and not quite as unhealthy. The following recipe is super easy to make – it takes about 10 minutes of actual work, then just a bit of time to cool. Add all ingredients to a small pot, and cook over medium heat, whisking constantly. Once the curd starts to boil, continue cooking for a minute or two until it starts to thicken a little bit. Note that the curd will thicken a lot more as it cools – so don’t let it boil for more than 2 or 3 minutes. Put it in a jar or a bowl, and store in the fridge for up to a week.